How rapidly things in nature change over the course of Spring around here! I was at the Arb the day after our final snow squall and now look! Flowers are out in such abundance I am forced to select a theme today so that I can “get” even a sliver of what the woods have to offer me. Several wildflowers show white in their petals and this is what I’ll look at today. Ah! finally… it’s summer. And that allows me to lie full-length on the path to get up-close-and-personal with some of the denizens of the forest floor. I find some White Trout Lilies near the creek below the Shade Tree parking lot. What a good place to begin my summer’s ramblings, both ambulatory and epistolary. I only need to scootch my bulk across the path a little to go face-to-face with some Cutleaf Toothwort. Its name comes from its leaves, which are finely divided, like those of carrots. Again, just a short distance away are some violets. Though there are purple ones and gold ones nearby, I’m sticking to my theme: white. Looking deep into a subject sometimes yields unexpected treasures. Did you know, for instance, that the family of flowers is named after the Italian scientist Malpighi, about whom usually hears when dealing with insect kidneys. If you dissected a grasshopper in school, I’m sure you’ll recollect the term. Some Rue Anemone catches my eye. The softly rounded lobes of their leaves show what they are. 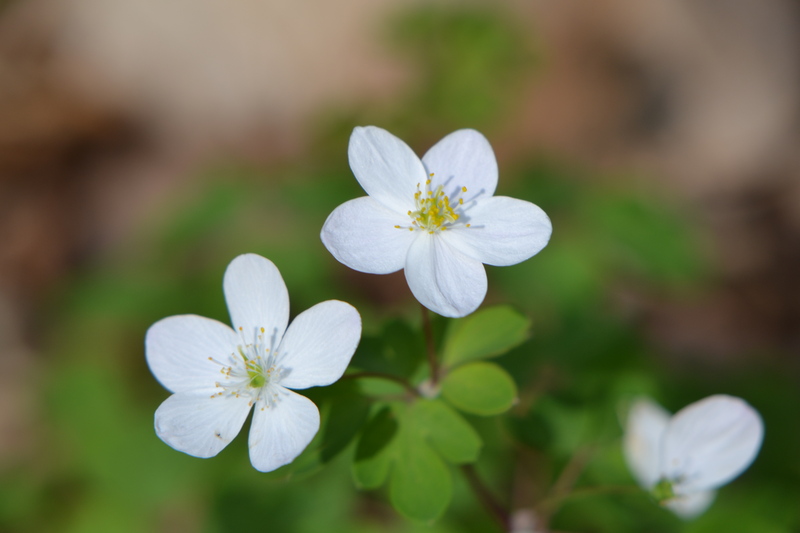 One might think that the botanists in Paris would live along the Rue Anemone, but alas!, there is no such place. 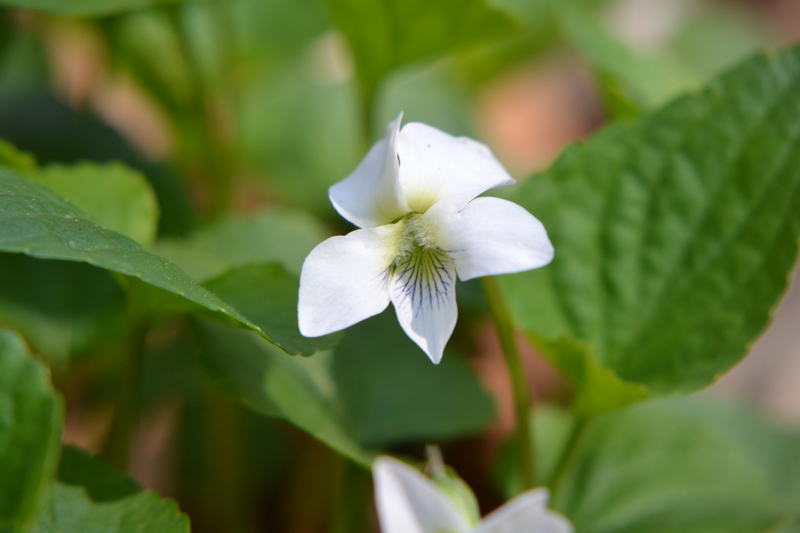 He who I call my guru, Aldo Leopold, considers a skein of geese arriving to be the hallmark of spring but to me, nothing says “spring is sprung” like the blooming of Trillium. There are many patches of them here. I can follow their blooming as I will be traveling north soon.